Do you know? farming ginger is not a harder task as people told you. Ginger is one of the most profitable Item to grow in your firm. It is known as one of the hardest crops to cultivate. Although, we have found that it is not harder to grow. In fact, we discover the much easier way to grow ginger in our farm. Here we describe our secret ginger growing method with you. Most often people don’t know the actual way of cultivation and also confused. But some basic knowledge can easily increase production as well as save valuable time. We encourage you to take notes for future use. Below you will know the planting to harvest procedure in brief. There are several matters which can affect the growth of the ginger root. Although, it does not require much care. But, ginger does not grow in every condition. 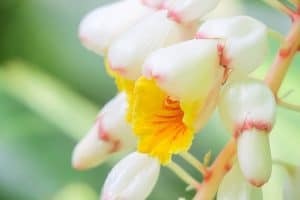 In this post, we tried to focus on the conditions to start a ginger farm from scratch and common problems and diseases. First, there are some prerequisite things like environmental and soil condition. 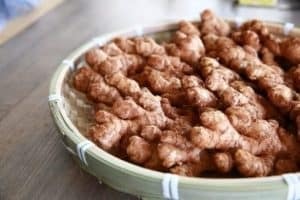 Ginger agriculture is hard because of its growing nature but due to their huge demand for verities of our daily needs, it is very profitable too. Though learning some basics tricks can ease the workflow and shove results. Generally, ginger is known for its pungent and slightly sweet taste in varieties of dishes Around the world, especially in Asia. It is also being used widely for folk medicine. More than 2.2 million tones of ginger grow in India, China, Nepal, Indonesia, Thailand, Fuji, Jamaica, and Nigeria etc. America and European country import it from mostly China, Brazil, Australia, and Africa. Dead ginger roots are for sale as the raw materials for ginger powder, oil, squash, biscuits and more. You can grow this valuable rhizome in your garden commercially combined with other crops or flowers. It could be the valuable turning point of your niche farming. There are several methods of growing ginger for commercial and non-commercial reasons. Here we tried to cover all of to provide the total guideline. And we discussed the total farming method incl. preparing soil, planting, caring, harvesting, and storing. This method is the best ginger growing method for beginners. We tried to focus on all the basic knowledge you will need in the first section. 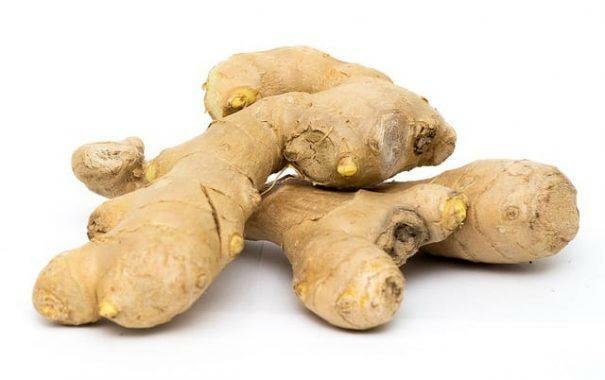 Prerequisite Condition or the common factors defined as “the things to know before starting a ginger firm.” This may be silly to learn but still, it adds a lot of value growing ginger commercially. Non-commercial farmers or hobby farmers may not need to worry but who doesn’t love to produce healthy ginger. Traditionally in sub-continent countries, they are cultivating ginger in the backyard and the hilly areas. In the USA and other countries, Ginger cultivation in normal fields or in a pot is getting more popular day by day. The first thing which will pop up un your mind. What is the best weather condition for ginger farming? People would say, “Ginger doesn’t grow place like this or that. blah, blah stuff.” But it can grow any dry place where the sunlight reaches and rains moderately. 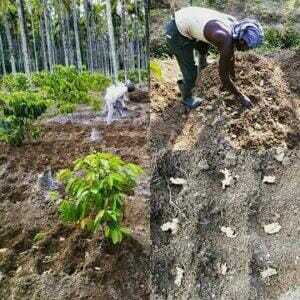 Your determination and hard work can produce the best condition for growing ginger in your land. Keep reading we will discuss the environmental factors as well as other things below. Also, give tips to make the soil bed in odd environments. It doesn’t grow in direct sun. It grows well a sheltered place, 2 to 5 hours of direct sunlight. And also need sufficient water from rain or manual watering. Maybe you think this as a barrier? but we don’t think so. Using straw on top of your farming bed to prevent direct sunlight as well as store water. Planting with some other vegetable (like pigeon pea, cluster bean, bananas) or in the garden can easily provide the filtered sunlight for a perfect environment. Planting on hill track or greenhouse can be the commercial solution for that. Ginger rhizome or roots thrive in the loose, rich, moist loamy soil worldwide. In USA hardy zone 9-12 can grow ginger. It needs warm weather cold or heavy rainfall region can’t produce ginger. Loamy soil drains water, which inhibits the rhizomes from becoming waterlogged. Thick mulch affords nutrients, preserve water, and aid control weeds. Preparing land requires minimum tillage and removal of all grasses. The bed should be about 15 cm high and 1-meter width. And the smallest distance between two rows must be kept at 20 cm. Gingers love mildly acidic soils with a pH of 5.5 to 6.5. Note: In order to grow ginger organically, a buffer zone is required. Depending on your land size you can choose 20 to 50 ft distance from other crops. The best time for transplanting ginger rhizomes is in the early spring in the USA and North America. For Africa, Spring and summer and Subcontinent countries which are depending on natural rainfall instead of showers should plant before 2-3 weeks the rainy season starts that is how you can utilize pre-monsoon rain. But note that heavy rainfall can be harmful to your plants. Generally, Ginger is propagated by seeds, rhizomes, and tissue culture. Tissue culture is the most productive means of generating the ginger. For the seeds and tissue culture, we suggest you get in contact with the nearest Govt. Agricultural Service point. Or someone cultivates ginger. Unless simply purchase ginger from the stores. Notes: Keep them protected from pests and disease and do not treat seed rhizome with any chemicals. After connecting them, keep healthy and fresh parts. If your collected new ginger which does not grow outside thick skin, keep them in direct sunlight for 3-7 days. By saying that what we mean is, let the skin grow yellow-brownish as like old one. You can plant ginger as they are but cutting them into parts is beneficial. 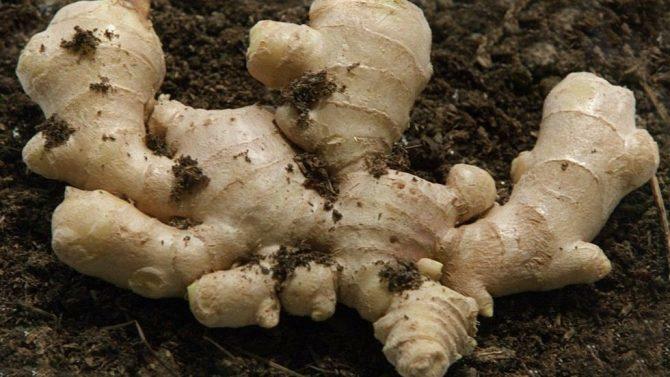 The ginger plant will take the rhizome as its own root and grow new root form them. So, cut the dormant rhizome 2-3 weeks before planting into parts as like potatoes. Each part that is cut off to be set must hold at least one eye. Ensure each part contains at least 4-6 g weight. Cutting size can vary from 1– 3 inches depending on your preference. Bigger rhizome holds larger food fo ginger plant. In this method to grow ginger, rhizome will be distroyed. So cut them as we suggested. After selecting the best rhizome. Next, place them aside for several days to enable the split surface region to recover and grow a callus. Ginger grows gradually, particularly outside. 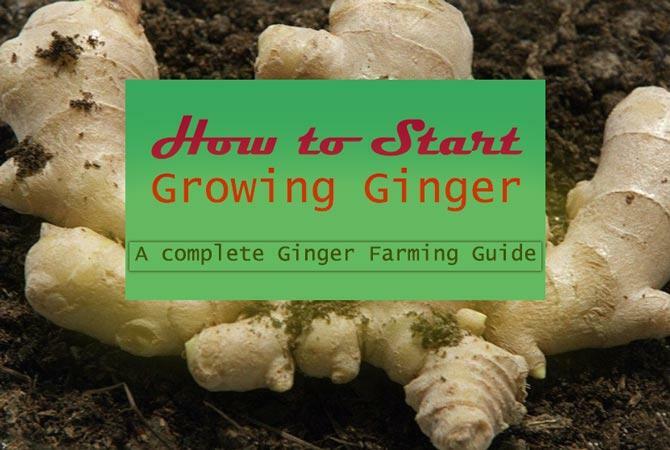 If you are a complete beginner to ginger farming, we will suggest you be patient. However, the sprout might arise within several days if you’re fortunate. Do not place the bed under direct sun. A movable tray bed is recommended. In this stage, It needs 3-4 hour of sunlight in the morning and evening. Naturally, one acre of land needs 600 – 800 kg of seed-ginger to sow. While farming, roots rhizomes associated with completely rotten animals manure or compost combined with Trichoderma may be inserted in shallow pits. And while planting ginger to germinations provide enough space to grow ginger plant freely. We suggest diffenent bed to grow seedling. In this part, we tried to keep a minimum distance of 6 to 8 inches from each other. And about 2 – 4 inches beneath, by pointing the growth buds skyward. Moreover, You can sow multiple callus together. Provide organic fertilizer when creating the bed. The ratio between compost and soil should be 80:20. It means every 1kg soil consists of 800-gram compost and 200-gram loose soil. Note: Provide enough spece between them to grow roots. Make sure soil is loose enough to grow ginger roots rapidly. 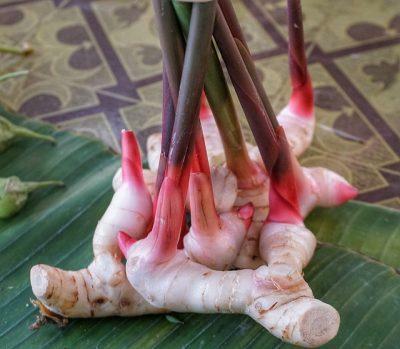 Check the ginger root growth and health after two or three months. If they are not growing as you expected to taste the soil. PH should be maintained in between 6.1 to 6.5. And, ginger is very dependent on fertilizer. Follow our guide of fertilization. During the growing phase, it needs reasonably heavy and well-distributed showers. Ginger needs 2-5 hours of sunlight again direct sunlight is harmful, using a shade can be handy during hot noon. And always weed before fertilizing and mulching. You don’t want to fertilize the unwanted plants. When the soil becomes dry, watering is expected to keep the soil moistened, but don’t water to the period of sogginess. It should be lessened during the winter time while the plant is dormant and must continue at the opening of spring. Which helps to grow ginger healthy. Powerful winds or badly draining loam can cause ginger rootlets stunted or distorted roots. It also needs moderate rainfall during showing time till the root sprout and the environment should be dry during the last 4 – 5 weeks before cultivating. Nitrogen: It is essential for chlorophyll, proteins, and amino acids. It is required in comprehensive portions. Phosphorus: It Performs a vital part of respiration. Phosphorus is also critical to the evolution of enzymes, phospholipids, and nucleic acids. It helps early plant vigor and stimulates fresh root extension. Potassium: Necessary for yeast activation, osmosis, transpiration, also the opening and closing of the stomates of the leaves. Nematodes, Slugs, and Snails, Leafminers and Mites are the major insects that harm ginger. Needless to say that if Grow ginger for more than one year you will face this dangerous species. Keeping the ginger field neat and clean is the key to control Pests. Nematodes: on-segmented roundworms attack the bulb tubers, producing lesions that cause them susceptive to fungal or bacterial attack resulting in the lower increase of plants. Cleanliness helps to destroy the hiding areas of pests. Slugs and snails: They eat fresh leaves plus the tips of adult leaves. To protect facing slugs and snails.the farming fields by keen sand or bark mulch. Mites: infestation generally happens in early stages. Insecticidal soap shower can fairly useful against Mites. Soft rot: The most destructive disease, results in the total loss, caused by Pythium spp. Start at The collar region of the pseudostem and progresses upwards as well as downwards. Control: The infected crop should be eliminated from the bed. Registered chemicals should be practiced. Damping off: Seedlings can be attacked by mildew. Control: Which could be avoided overwatering. The infected crop should be eliminated from the bed. Leaf spot: Coats spots, surrounded by chlorotic corona and extensive neurotic regions including black perithecia in the center. Control: Registered chemicals should be practiced. Rust: Reddish-orange spots develop on the bottom of leaves. It infects plants throughout the buried rhizomes. Control: Infected plants must be extracted and driven out. Warnings: Do not keep adult ginger under the bed after they are matured. If you do so your ginger losees taste, weight and even rotten. This is a very important part of ginger farming. You may agree with us that, the success of a profitable farming depends on this. Yet! we think that farmers do not have the right information or knowledge about harvesting. As this differs from other crops. It takes about 8-10 months of intense to grasp adulthood. Proper harvesting time would be after 8- 10 months of sawing. And yielding when the leaves start turning yellowish is the best practice. Ginger is used in the fresh state or dried state. Cleaned fresh one should be kept in a cold environment in between 10 to 15 °C. Dry it under the sun. Cutting them into pieces help it to dry faster. The dried substance must be saved as it is, or squashed into powder. The stored element can be either in paper bags, glass or in a tin container. It worth saying the constant cultivation of ginger in the same land may cause low production. After 2-3 years of continuous farming, one year break is mandatory. But using organic compost will be helpful. Finally, Thanks for being with us, we urge organic farming of our next generation. Hope this article will answer all your question about ginger farming systems. The comment section is wide open for any kind of query and help. Furthermore, bookmark us, sharing in the social profile and your valuable comment will guide and inspire us for publishing more farming articles. He used to be totally right. This publish truly made my day. You can not consider simply how a lot of the time I had spent for this information! Awesome! Amazed by your guide about carrot farmin. 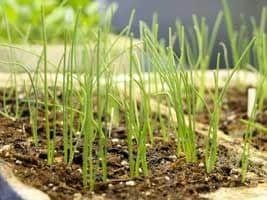 Generally, you can grow chili papers, lemongrass, cilantro, herbs and orchids along with ginger. In South Asia, people grow ginger along with papaya, banana, and many other crops which requires a long growing or farming time. Do I have to peel the skin from the ginger before drying? 2/ peel it, applying a razor-sharp knife, a vegetable peeler, or commonly used a mineral like a spoon. Ginger is awesome grower.. I use to grow ginger for 3 years. its profitable. this is a good guide with lots of things to learn. I have to say that i also learn a lot of thing on this matter. Thanks! carry on love from India. normally, it takes 8 months. but, first, you should pull one or two, in a manner that the roots not get destroyed. If you are satisfied then harvest it. or check on the next week. NOTE: as the ginger in the soil can get rotten. you need to be careful to keep them a long time under the surface. i just turned on to this site as iam going to start ginger farming in near future……the information that i had gathered from local farmers in Sri Lanka is more or less the same as yours… it means your info is credible. thank you. Am so gratefull to u all for the tips it helps alot to us the new farms ….now i have a land of three arches but with no enought shade is in the open …..if i plant on this land will it grow well.